When it comes to reliable comedy that most of American get get behind at the boozy, but family friendly, hour of 11:30pm, there are few things that hit the nerve cells of the American psyche more than a lovable talk show host getting crawled over on by a bunch of animals he absolutely cannot stand for the life of him. You know, a perfect straight man to an animal trainer who usually acts as if he’s not even seeing the man sharing a stage with him feel at all nervous. 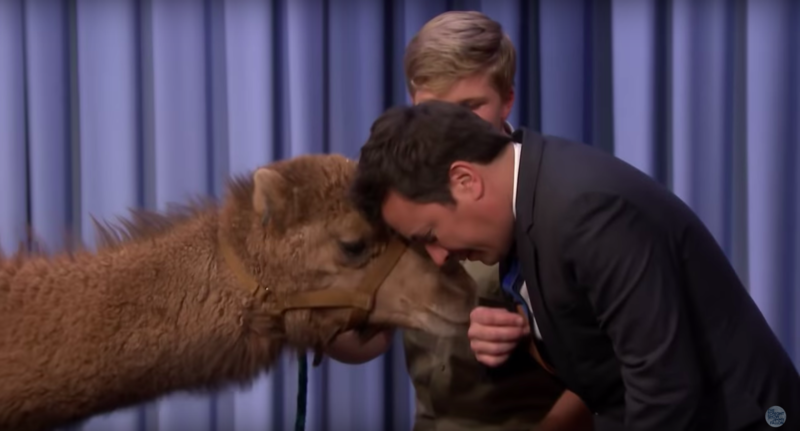 Jimmy Fallon hit that payload with Robert Irwin, son of the late and brilliant Steve Irwin, a reliable guest who continues to bring spiders that freak out Kevin Hart, and today brings a camel that kisses Jimmy Fallon and little wild African serval cats (they look so much like cute little kittens) that adorably crawl all over Fallon in that pure adorable spirit. Check out the video above and witness some of the other extreme discomforts of the animal kingdom, including Jimmy Fallon chasing down a small sugar glider (that he just calls an Australian rat), gets peppered with “peppered cockroaches” (appropriately named, and perfectly chosen just to annoy Jimmy Fallon), and then of course the African serval cats. They look like kittens, and the shots of them crawling all over Jimmy Fallon, who is asked to lie down and close his eyes (never, ever a great instruction to hear), and then the kittens come and cuddle him and play with his feet, which is surely a very adorable thing to witness. Hey, Jimmy Fallon, you’re all right, my guy! Sunglasses emoji! 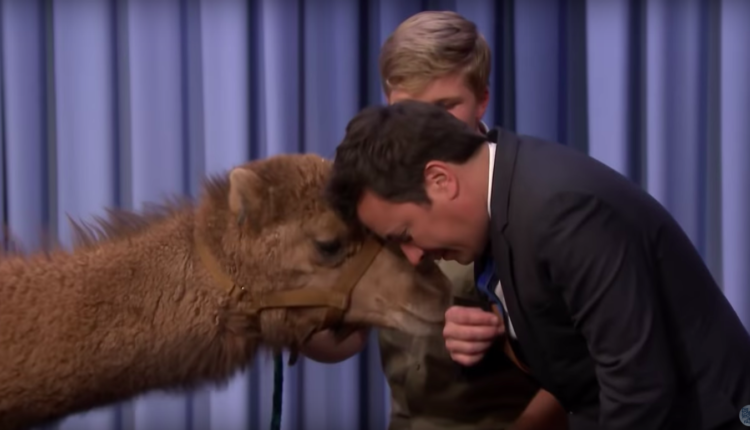 Then the camel comes out, and even though Robert Irwin teases some camel vomit, none of that happens. Naught occurs but a gentle camel kiss. So goeth existence. What do you think of this incredible adventure? Let us know in the comments or on Twitter at @WhatsTrending.